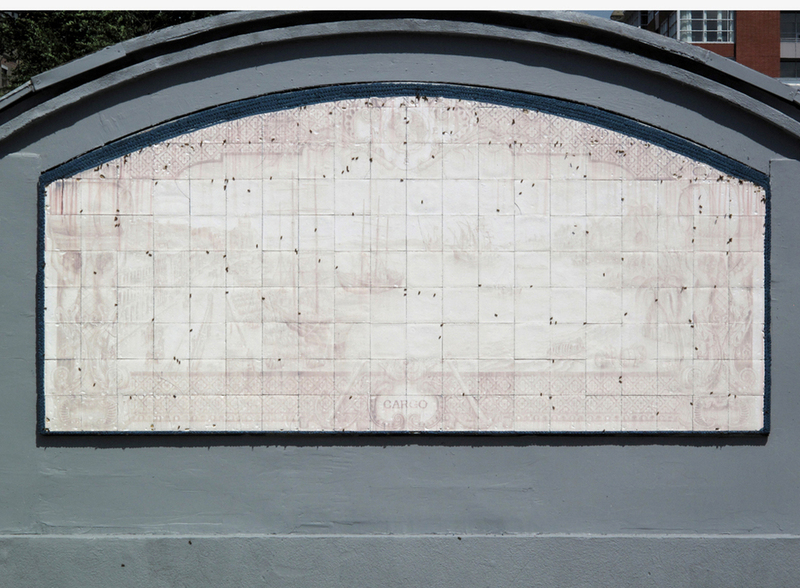 Cargo is a public billboard initiative with the Darling Foundry presented in the context of le Mois de la Photo à Montréal (The Month of Photo), a biennale of contemporary photography that occurs in Montreal every 2 years. 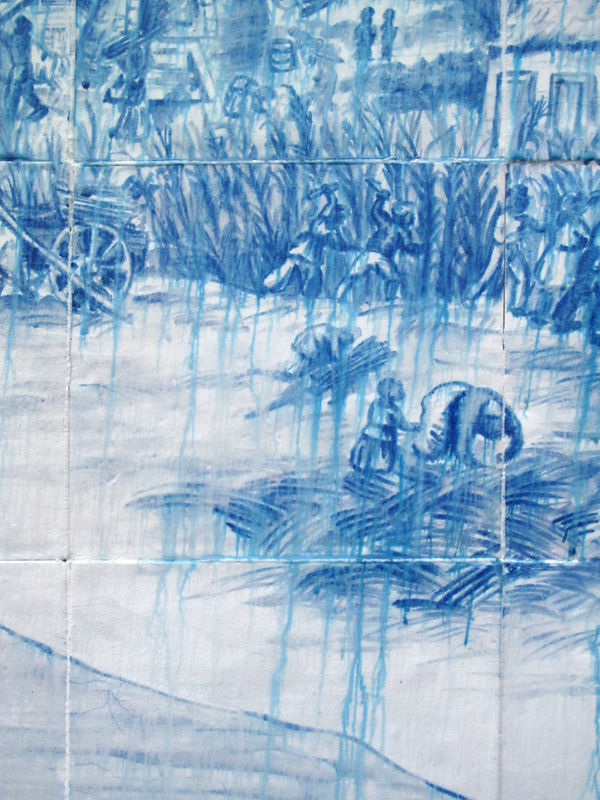 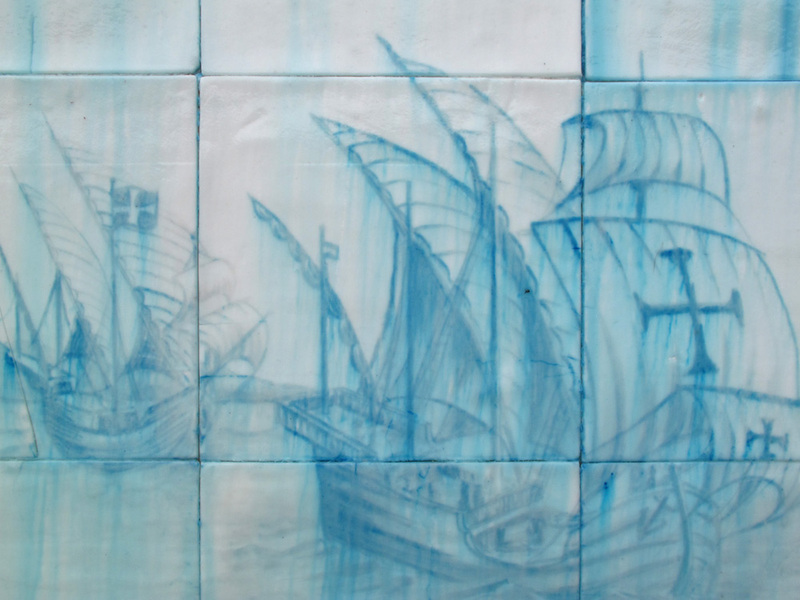 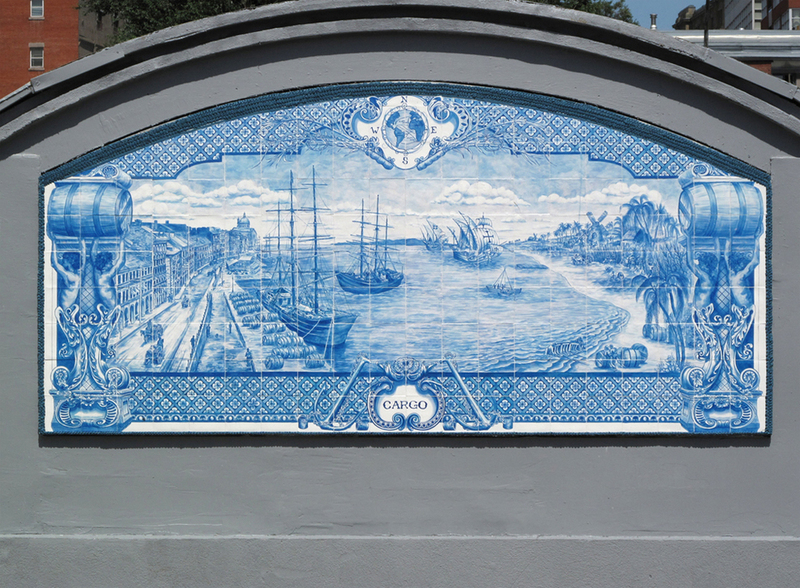 This project involved 2-parts: The first component was the creation of a sugar mural, created in the guise of a traditional ceramic “azulejo”. 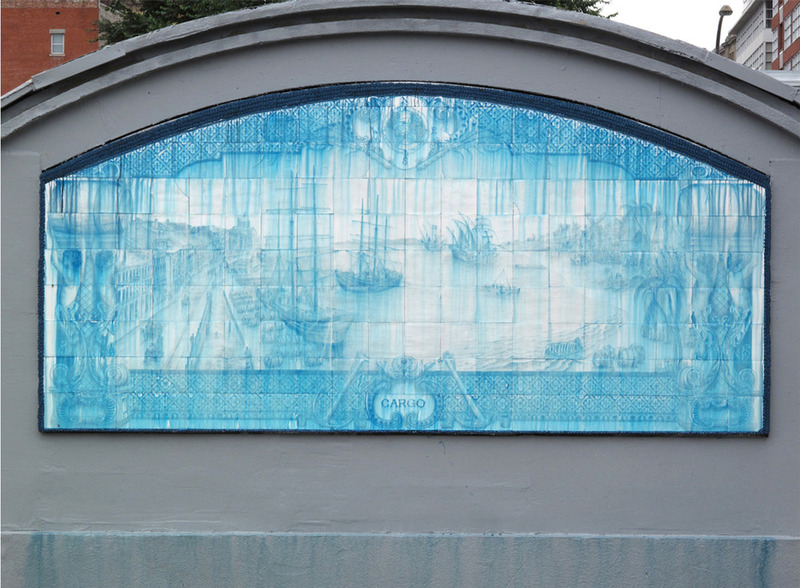 The image depicted speaks of the history of sugar, linking the port of Montreal into the global network of sugars history and the slave trade that supported this industry. 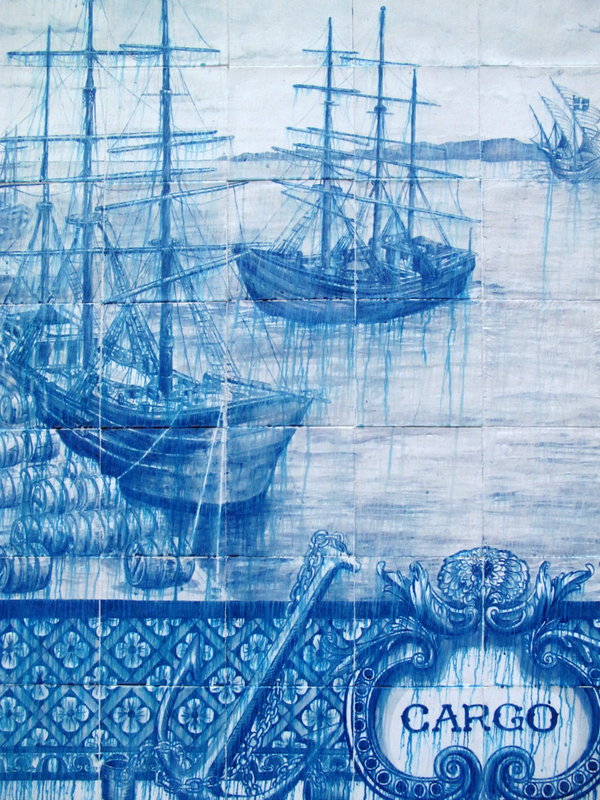 The image links source and destination for all of the “cargo” related to this history, both sugar barrels and human cargo that were carried across the oceans.